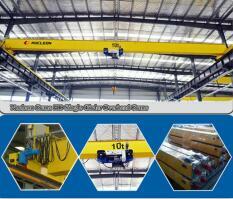 Single girder bridge crane runs on an elevated runway system along the length of a factory, the hoist moves the load up and down, and the bridge of the crane moves the load forward and backward. 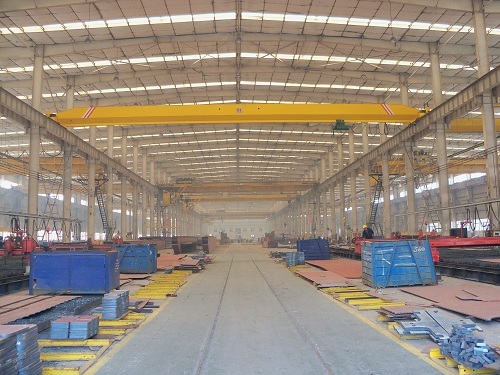 It is characterized by more reasonable structure and higher strength steel as a whole, the main beam and end carriage are made by Usection steel plate. 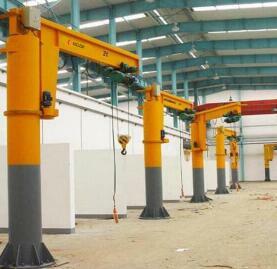 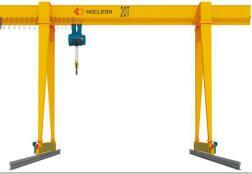 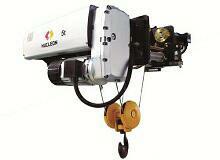 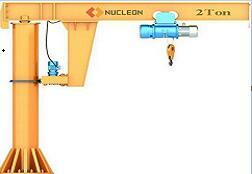 It is used together with CD1/MD1 model or HC/HM model wire rope electric hoist as a complete set. 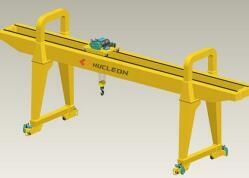 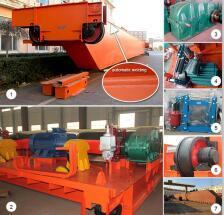 Widely used in plants, warehouses, material stocks to lift goods. 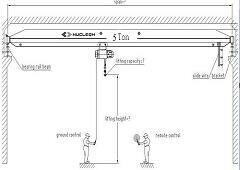 It is prohibited to use the equipment in the combustible, explosive to corrosives environment. 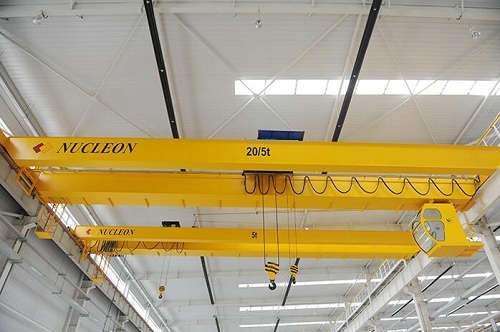 The lifting unit is wire rope electric hoist, it is low headroom frame electric hoist, it takes smaller space on vertical direction.The all motions of this bridge crane are double speeds, the lifting motor is double speed type, the cross traveling motor and long traveling motor are controlled by frequency inverter.Rated Loading Capacity: 1t-20t.Max. 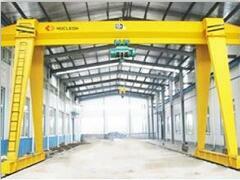 Lifting Height:18m. 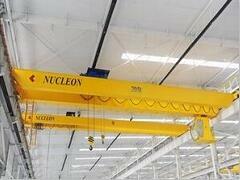 Nucleon located in Henan Crane Industrial Park, which has good raputition by “Town of China Crane” which is in Changyuan County of China.Is a overhead crane, gantry crane, electric wire rope hoist, bridge crane and other products of research and development, manufacture, installation, sales and service as one of the Sino-foreign joint ventures.We provide high quality products and after-sales service!And already awarded ISO9001 Certificate of Quality System,ISO14001 Environmental Management SystemandOHSAS18001 Occupation Health and Safety Management System Certification.This is our company‘s contact information,welcome to consult.